The item you receive will be out choice of various 1 oz Royal Canadian Mint collectible Items. The product you receive may not be in original packing. Items may not have certificates. Items may have evidence of visible handling. Reverse Various designs found on Collectible 1 oz Royal Canadian Mint Silver Coins. 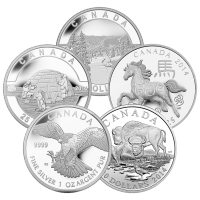 Various designs found on Collectible 1 oz Royal Canadian Mint Silver Coins. 1 oz RCM Assorted Commemorative Silver Coin Add value to your numismatic collection today with our choice of 1 oz RCM Assorted Collectible Silver coins. 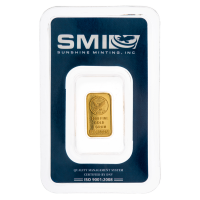 The item you receive will be out choice of various 1 oz Royal Canadian Mint collectible Items. The product you receive may not be in original packing. Items may not have certificates. Items may have evidence of visible handling. 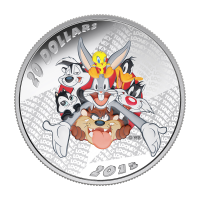 Purchase our lowest priced 1 oz RCM collectible silver coins today.